Hi. 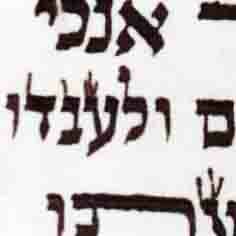 This was found in yesterdays Torah reading... aleph and daled... before and after fixing screenshots attached. Would anyone think that there is a chashash in the daled being a shinui tzurah to a tzdi pshuta? The rosh is so much longer than the regel,it does not begon to be a question of a chaf. This is one of those things that one would not even question, but, with staring, begins to look worse.The fact that the mem and heh after it are a bit short, helps make the illusion of a problem. 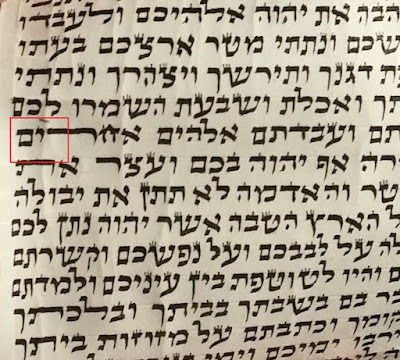 I was referring to the deled looking like a tsadi pshuta when connected to the aleph... what are your thoughts on this? I don't see the chashah. I assume the regel of the Dalet was removed and rewritten? No chashash. Not even remote. The regel was not removed and rewritten. Despite not being very pretty the daled still maintained its Tzurah. So was just fixed up. What are your thoughts? Did it lose its tzurah? 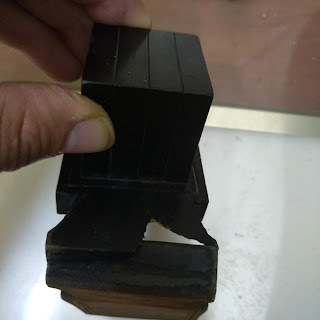 Did a posek with expertise in stam pasken that the Dalet didn't lose it's tzura and hence could just be scratched? Yes. Sent it to a local sofer. Would you hold it lost its tsurah? It's not a sofer's place to make this call unless he"s perhaps a certified magia. I'd suggest not using this Sefer until the regel is removed and rewritten. The regel has now been removed and rewritten. Would you hold the daled has lost its tzurah though? There was a bit of a machlokes here on whether or not it has. Some yes. Some no. Either way it has now been rewritten. Would like to hear your opinion. It's a good shaila and if found in tefilin or mezuzah would be worth presenting to a higher authority. However, as it's a sefer Torah and a basic correction, it should be/have been fixed as per my suggestion unless such an authority paskened otherwise.